I am available to teach saxophone lessons in Bournemouth at a rate of £22 per hour (or £12 for half an hour). I can help work towards the traditional graded exams from ABRSM and Trinity Guildhall, and enjoy working with students of all ages. Lessons can include subject areas such as improving technique, sight-reading skills, improvisation, and above all a good solid tone. Lessons are bespoke in that they are built around you, are fun, and structured in a way that important building blocks of becoming a good musician and saxophone player are integrated without the fun aspect being taken away. Whether you want to do this for your own enjoyment, or yearn to get out there and join a band, it’s never too early or late to start learning to play the saxophone! 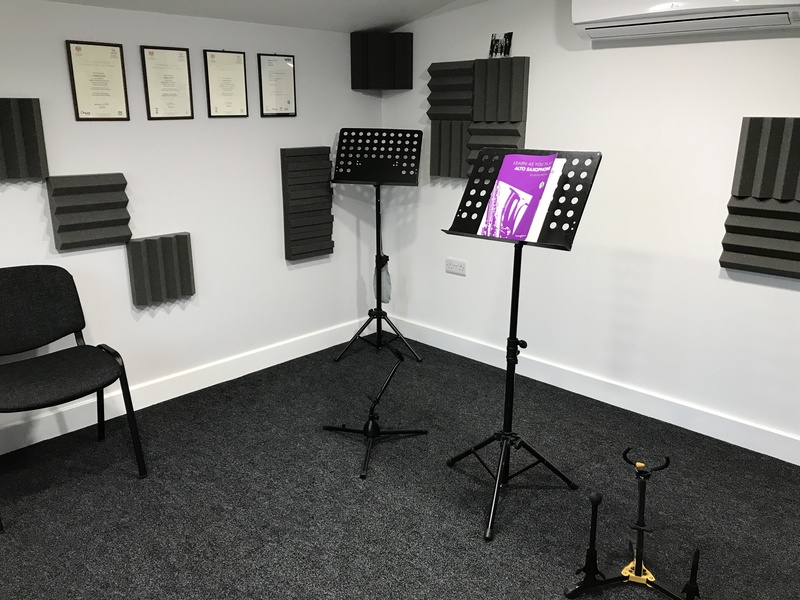 Lessons are in a comfortable purpose built music studio recently finished complete with air conditioning / heating, located in Southbourne, BH6. I can also help students with advice on equipment such as answering questions on “Which mouthpiece?” or “Which saxophone?”. There are so many options to choose from these days, and it is critical to get this right from an early stage. The equipment should not get in the way of your development, and without the correct advice it often does. If you prefer lessons can be done in the comfort of your own home, contact me to discuss rates depending on where you live. To find out more contact me by calling 07711 998058 or use the contact form which can be found here. My Music Teachers page can be found here.